Andrew Cyrille’s title Lebroba is a contraction of Leland, Brooklyn and Baltimore, birthplaces of the protagonists of an album bringing together three of creative music’s independent thinkers. Each of them made his first ECM appearance long ago: drummer Andrew Cyrille on Marion Brown’s Afternoon of a Georgia Faun (1970), trumpeter Wadada Leo Smith on his own classic Divine Love (1978), and guitarist Bill Frisell on Eberhard Weber’s Fluid Rustle (1979); these are, of course, players of enduring influence. 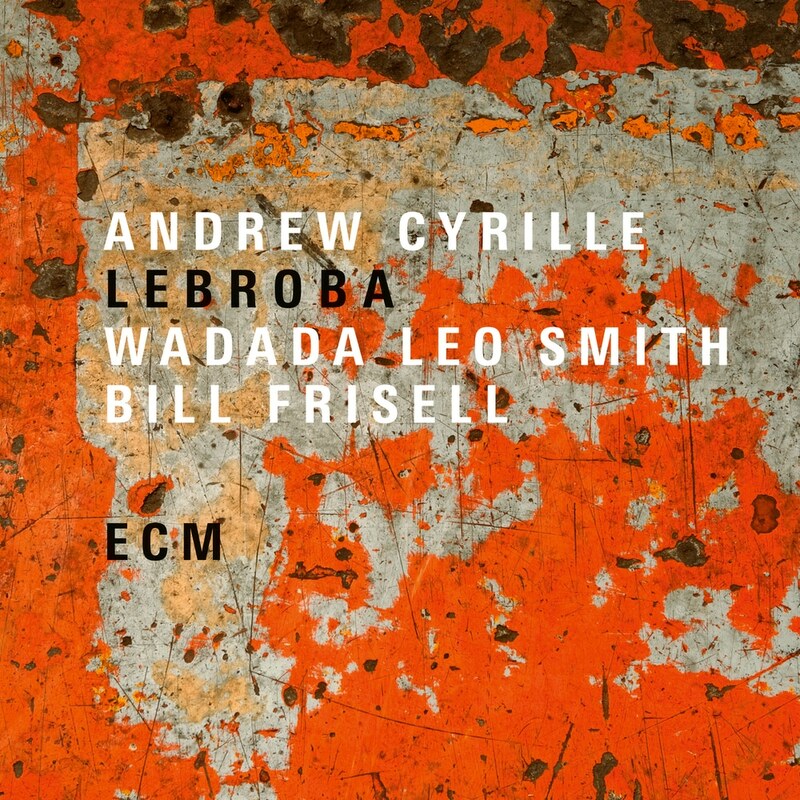 Frisell contributed to Cyrille’s previous ECM disc The Declaration of Musical Independence, but Lebroba marks a first-time meeting for the guitarist and Wadada Leo Smith. A generous leader, Cyrille gives plenty of room to his cohorts, and all three musicians bring in compositions, with “Turiya”, Wadada’s elegant dedication to Alice Coltrane, unfurling slowly over its 17-minute duration. In his own pieces, including the title track and the closing “Pretty Beauty”, Cyrille rarely puts the focus on the drums, preferring to play melodically and interactively, sensitive to pitch and to space. There are references to West African music and the blues as well as the history of jazz drumming, but Cyrille’s priority today is an elliptical style in which meter is implied rather than stated.